Redfish are voracious feeders near Charleston, SC. Their huge mouths allow them to eat just about anything that fits inside. Your baits will change with weather conditions and seasonal demands. The best part about redfish angling is that artificials can be more productive than live bait. This makes them a world-class sportfishing. 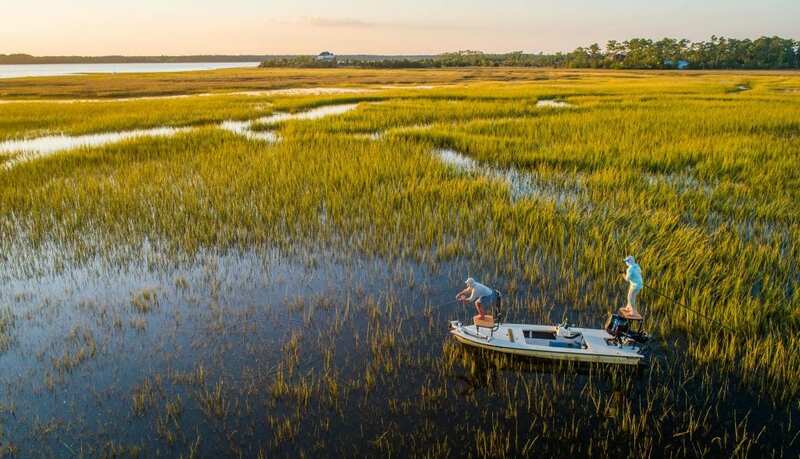 The best areas to fish for redfish are within the coastal estuaries that bless the South Carolina coast. The shallow water and huge beds of grass make it necessary to cover large areas with relative quickness. If the fish are present, you will catch them. Make casts to holes and areas where the current is broken up by logs or stumps. If they’re not there, move on. Redfish tend to school, which makes it more efficient to spend time finding where they are located as opposed to waiting for them to come to you. Redfish feed on crustaceans, fish, and anything that fits in their mouths. However, the larger ones, over 20 inches in length, feed primarily on baitfish. This helps narrow down your bait selection when targeting them. Added to a jighead, these baits can be deadly. We love Eyestrike Fishings trout eye jigs. Use colors that will be visible in the muddy inshore waters. Large twister tails tend to look like minnows or we like Zman’s Minnowz Paddle Tail. You can even rig a fish lookalike and jerk it through the shallows to imitate a wounded baitfish. When throwing spoons, try adding a twister tail to the end. If the spoon is not garnering enough attention to draw a strike, sometimes an additional soft plastic bait will do the trick. Try various colors and retrieval speeds to find the optimal presentation. Fly fishing for redfish is as popular as it is successful. The flies should be large and brightly colored. Inshore waters are dirty with silt, wind patterns and currents make throwing small baits an exercise in futility. Redfish must be able to see the fly. Use colors such as red and chartreuse to draw in the strike. These fish get big and fight hard. An 8 or 9 weight rod should provide the backbone necessary to bring them in. If the bait you are throwing isn’t resulting in a strike, try a different one. Everything from water temperature to the species of baitfish currently at the bottom of the food chain can affect how fish see your lure. When fishing in South Carolina, don’t give up right away. The huge expanse of grasses and mud flats can make finding the fish the longest part of a fishing trip. Once you do find them, the fishing turns on quick. Don’t waste too much time switching up baits until you find the fish. You can be casting the best lure in the world but if there are no fish to see it, you won’t catch a thing. 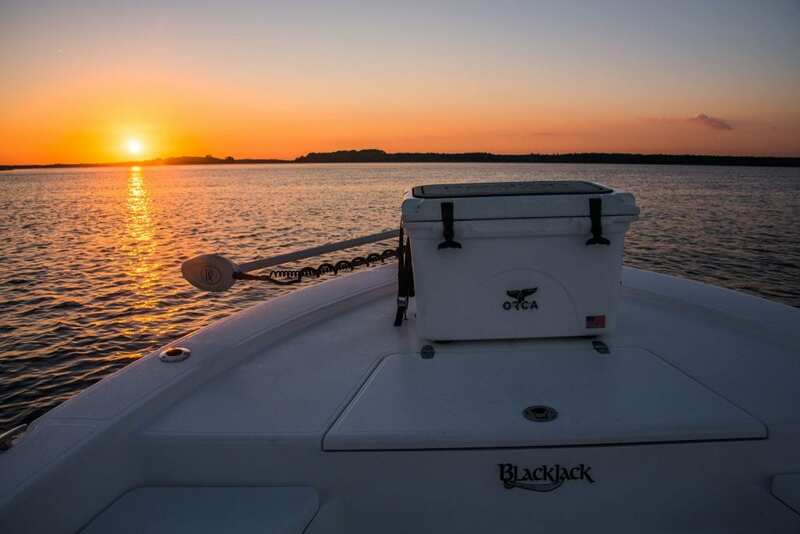 RedFin Charters provides a top-rated guiding service in the Charleston area. Contact us and get a fishing trip planned.